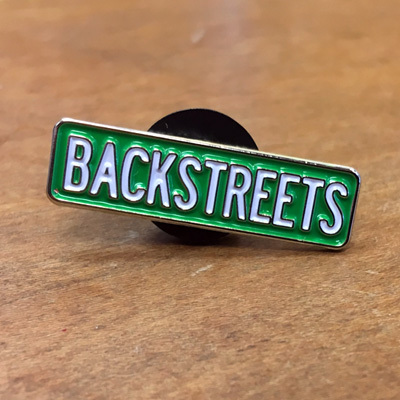 Thanks to our friends at Print Mafia for custom making this Backstreets enamel pin for us. This discreet 1-inch pin is made of iron, features green and white enamel, and comes with a sturdy rubber back closure. Also available: a Backstreets sign keychain. Order both the keychain and pin together and save!